Speaking English - Feel Nervous & Shy? Hi, I am AJ Hoge, the director of Effortless English. And it’s time for today’s student question. The question is this: Why am I so shy and nervous with English? Well there could be many reasons for this and this is a very common question. So I am gonna tell you the most common reasons for feeling nervous and shy when you hear English or when you try to speak English. Usually this comes from the way you learned English in school. And the problem in school is that they taught you to worry about mistakes, rihgt. They gave you a tasks and if you made a mistake they acts it was wrog and minus one, that’s a bad thing. Also some teachers, if they ask you a question in class in English, when you answered you made a mistake, they said “no no that’s wrong” they correced you. In front of all of the class. They can also make you feel nervous and shock. Also to the way of learning English in school is just kind of stressful and boring. And so over time when you are learning this way day after day, month after month for possibly years you begin to connect that feeling of shyness and nervousness with English. So that when you hear English when you went to use English you suddenly feel kind of nervous kind of shy. So that’s a very very common problem. Now, of course the next question is probably “how can I change this feeling?” right. This feeling causes a lot of problems. It will hurt your English speaking a lot. Now, luckily in the Effortless English system we teach you exactly how to get rid of shyness, get rid of nervousness. One of the ways we do this is we train you, teach you to speak English in a strong voice in a loud voice. And also to use your body, your physical body. 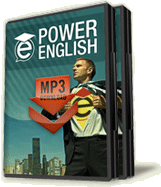 In a strong and powerful way, strong movements when you are practicing English. So when you are practice English, imagine you are listening to one of our mini story lessons. And you hear a question and you need to answer that question, you need to say yes. Well we train you to say that in a strong way yes. And you had a strong body a loud voice. Why are we doing this, what is the point of that, why? What is the reason? Well the reason is to break your habits of shyness, break your habit of feeling nervous. When you use a strong body, a strong voice and you give a strong answer in English like that even just one word. You are training your brain, you are training your feelings, your emotion to feel strong and powerful when you use English, when you hear English. Well, it takes some time you know, you can’t just do it one time and totally change everyting. But when you practice again and again always practicing English with a strong voice, strong movements, strong actions, you will train yourself to feel stronger and more powerful whenever you hear English or use it. And that is today’s question. Visit effortlessenglishclub.com to join our free newsletter and learn more about our system.